S Magazine. 'Time warp wives'. 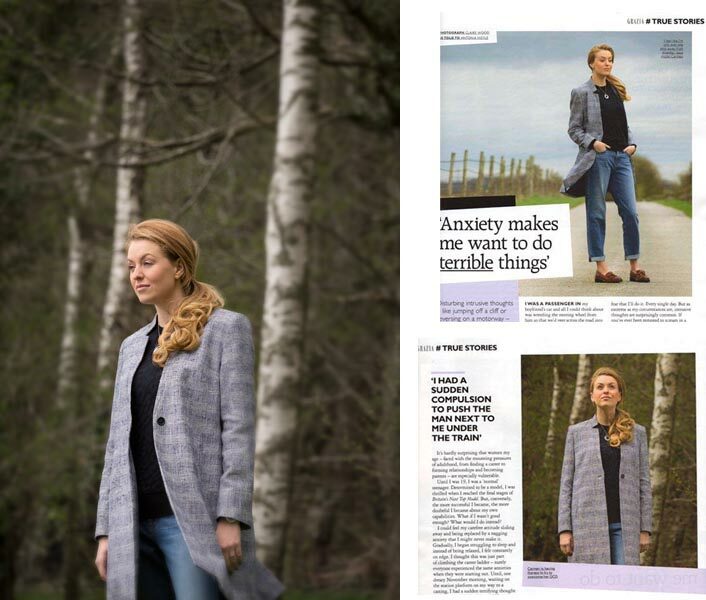 An editorial photo shoot for Grazia magazine about anxiety. 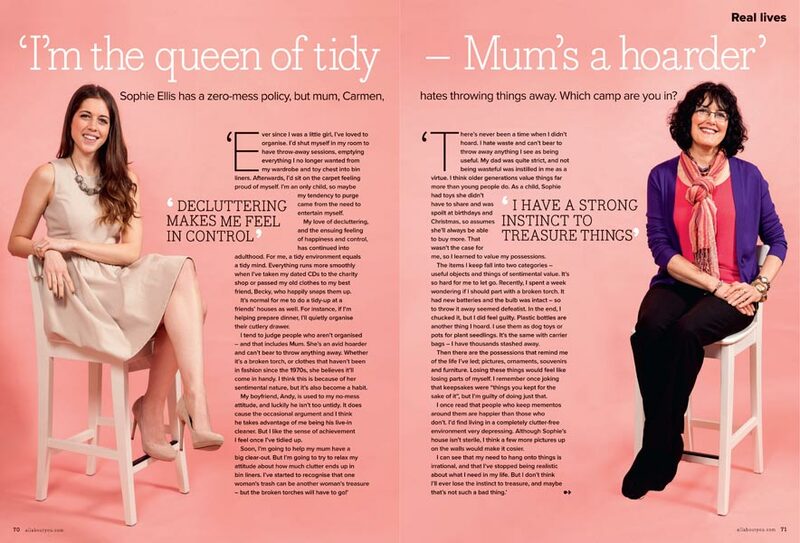 A magazine double page spread for Prima magazine. 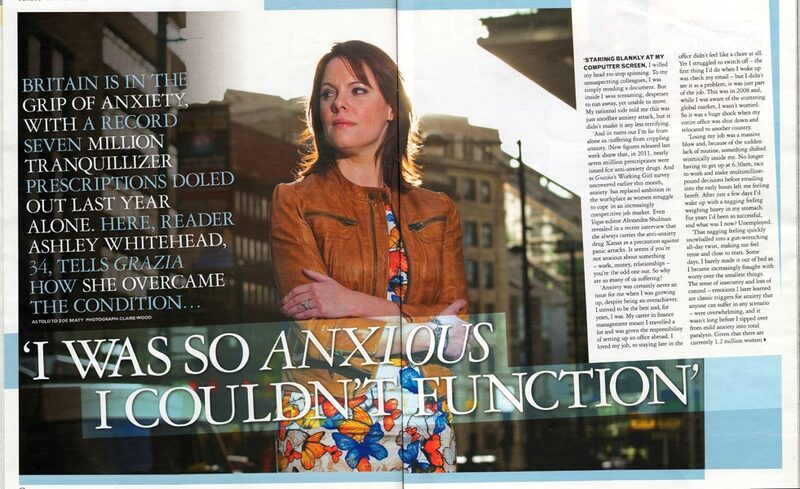 An editorial photoshoot in Manchester city centre about anxiety for Grazia magazine. Fabulous. 'Married but living apart'. Cosmopolitan. 'He says, she says''. Cosmopolitan. 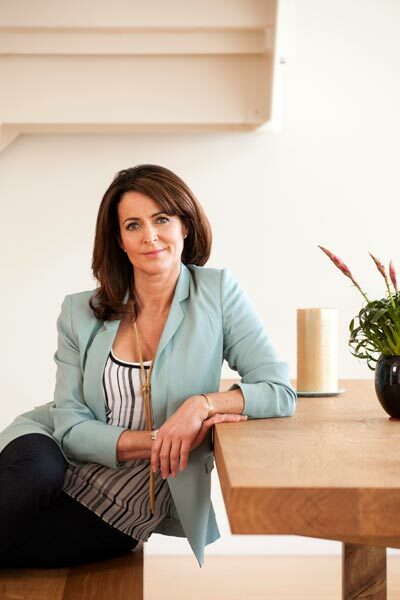 Career page - Kate Williams of Seven scents. Marie Claire. 'My brilliant career. Layer turned brewer. Petra Wetzel. Prima. 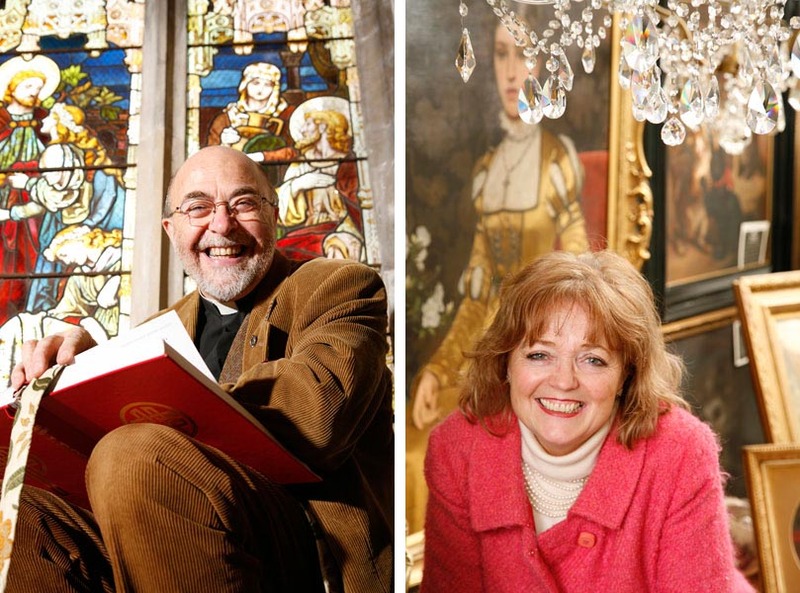 'Snoring & couples who sleep apart'. Reveal. Weight loss Jordan look-a-like story! Grazia. 'The rise of the rinsers'. Marie Claire. 'I used to be anorexic'. Sunday Times Style. 'What it's like to be mixed race'. Guardian Weekend. 'Experience - Hypochondria'. 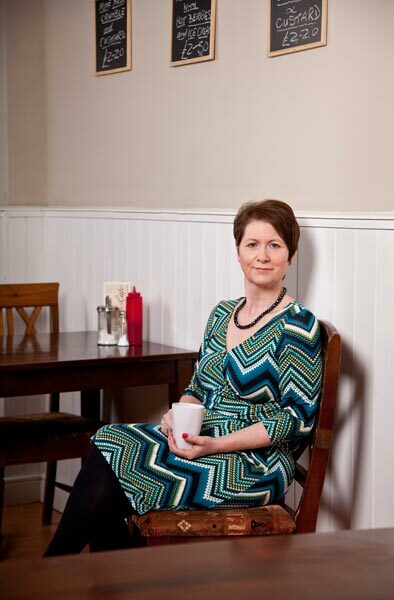 A portrait of Julie Bailey, who is running a campaign to improve the care given by Stafford hospital for Femail. Psychologies. 'Memory loss' - Naomi. Woman. 'Weight loss twins'. Karen & Paula. Left = S Magazine. 'Lactose Intolarance'. Right = S Magazine. 'Epilepsy'. Woman Magazine. 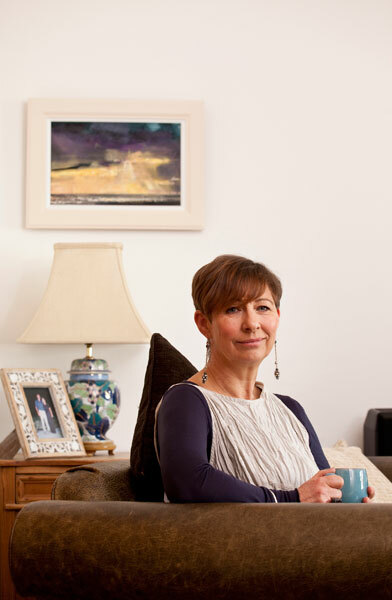 'Living with MS'. Portrait of Lianna Champ, Cosmatologist for Fabulous magazine. Woman magazine. 'Thelma's wedding shop'. S Magazine. 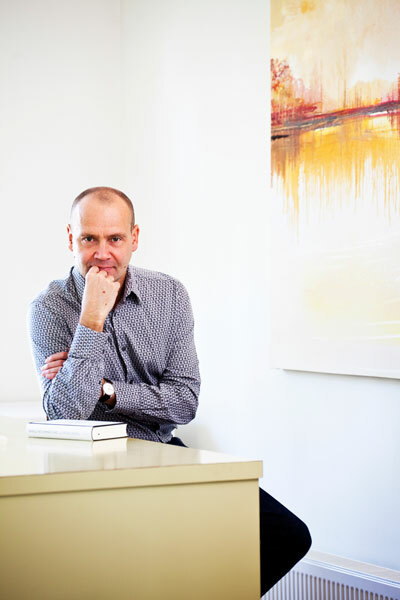 Simon Beckett - Author. An editorial photoshoot for Fabulous magazine with a lion keeper at Yorkshire wildlife park. Woman. 'Pink Peppers Divorce Club'. More. 'The only way is Liverpool'. Prima. 'They said it would never last'. Grazia. From a series on boutiques. Woman. 'Twin sisters and IVF'. Marie Claire. 'Prince's Trust - The Original Lash Bar'. Woman magazine. 'Likes to be naked at home'. Marie Claire. Part of a case study on 'Relationships around the world' (Manchetser).